Explained: What has changed for India's women between 2005 and 2015? 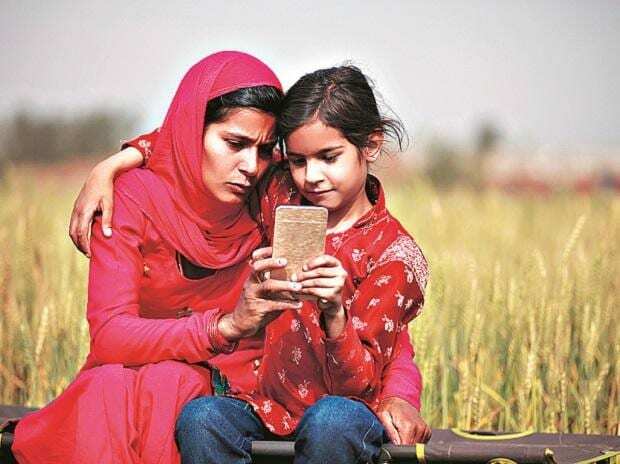 On January 31, 2019, at a joint sitting of both houses of parliament during the Interim Budget Session 2019, President Ram Nath Kovind noted that under the central government’s Digital India initiative, 116,000 villages in India have been digitally connected, 40,000 gram panchayats have WiFi hotspots and all gram panchayats together have 212,000 Common Service Centres. An initiative in Palghar district, Maharashtra, is closing the gap between making such digital infrastructure available and the next step--providing digital literacy to people in rural areas, so they can directly access the government facilities and services that are available online. Partners for Urban Knowledge Action and Research (PUKAR), a Mumbai-based independent research collective under the Azim Premji Foundation, has been working to increase digital literacy and access to e-governance in the tribal villages of Maharashtra. Palghar, the headquarters of the recently created Palghar district of Maharashtra, lies a little more than 100 km north of state capital Mumbai. The district is home to three ethnic groups--the Agri, the Kunbi (among the Other Backward Classes), and tribals. The first two are largely landowners, while the tribals, who comprise 35% of the population, work as agricultural labour. Each village in Palghar district has a separate hamlet for tribals, called a pada. These padas lack the infrastructure and services available to the rest of the village. Through a project launched in rural Palghar district in 2014, PUKAR has been working to increase digital awareness and literacy, improve understanding of the 73rd Amendment to the Constitution, 1992--which empowered village-level self government institutions including the panchayats and gram sabhas--and train local youths as ‘e-sevaks’ to enable villagers to access government benefits via e-governance. PUKAR’s objective was to help villagers secure the benefits due to them under various government welfare schemes and become more aware of their rights, with an emphasis on uplifting women, including increasing their participation in panchayats and gram sabhas. The Palghar pilot project began in Bahadoli village, where 75% of the population is tribal. These villages, despite being only 80-100 km away from the metropolitan city of Mumbai, lack access to basic services available online, such as Aadhaar card correction or linking Aadhaar IDs with Permanent Account Numbers (PAN) for filing income tax returns, and accessing cooking gas subsidy and banking services, said Kiran Sawant, programme director, and Shrutika Shitole, associate director, PUKAR. PUKAR set up a computer kiosk in each of the 14 villages in Palghar and trained youth ‘e-sevaks’ on how to enable villagers to access government facilities and schemes available on the Maharashtra government’s Aaple Sarkar (Your Government) e-governance website, from registering for Aadhaar cards and linking of Aadhaar with PAN, to availing government schemes. The kiosks are set up in the panchayat office and village residents can use them whenever they want. PUKAR developed various print and video modules to train the e-sevaks, providing step-by-step information on accessing services online. These e-sevaks go door-to-door and run volunteer camps, while the panchayats provide basic facilities such as furniture and electricity. As of October 2018, 64 e-sevaks were active in 31 villages where, along with trained innovators and coordinators, they had helped more than 30,000 villagers access information regarding government services. The goal is to make the youths and, in turn, the village, self-reliant. These villagers have been able to gain access and information about more than 65 government schemes related to governance, farming, housing, subsidies and government certification. Villagers have saved a total of Rs 4.8 crore by accessing these kiosks and avoiding trips to the taluka office--about Rs 1,600 for each of the 30,000 users, more than the current monthly minimum wage of Rs 1,525 for a rural agricultural worker--according to reports by PUKAR. PUKAR also conducts community service events in the target villages, and runs a cooperative called Unnati as well as an e-governance helpline. Any query on a governance-related issue is completed within 48 hours and the helpline reaches more than 80 villages. A pressing concern in these tribal villages is access to satbara, or land records. This is especially relevant after the Supreme Court judgment of February 13, 2019, ordering the eviction of hundreds of thousands of indigenous forest dwellers and tribal households from forestlands across 16 states, including Maharashtra. Through the PUKAR project, 1,875 tribal residents across 31 villages in Palghar have been able to access their land records, a crucial step for obtaining exemption from eviction. PUKAR’s methodology of community-based participatory action research has helped 360 women from self-help groups become digitally capable through training in information and communications technology (ICT). These women now pay their electricity bills and access their satbara records online. More than 500 schoolchildren have also received ICT training. In the tribal village of Tandalwadi, IndiaSpend met six young women who received e-sevak training for more than two years. They are now ‘innovators’ who monitor other e-sevaks and help villagers form cooperatives such as Unnati. These young women perform various tasks from getting permissions to hold awareness and registration camps from the panchayat to printing pamphlets, spreading awareness about and conducting camps. The e-sevaks also encourage women to contest panchayat-level elections and participate in the gram sabha. Their assistance extends to carrying a photocopier from village to village. “The Xerox machine helps people save time and money. Otherwise, for a few copies, a person has to travel all the way to the station. We also help them by printing out passport-size photographs, which saves them a lot of money. They use phones for online shopping too. Every house has at least one smartphone,” said Vaishali, an innovator, who gave only one name. Manisha Naresh Guru, a housewife and gram sabha attendee from Tandulwadi, has an Aadhaar Card, PAN Card, a bank account in her own name and uses the ATM. She knows how to pay her electricity bill online, albeit finds it a little tedious. Manisha uses WhatsApp to keep in touch with her extended family and knows a few online shopping sites. She is also a member of the gram sabha in Tandalwadi and attends it regularly. Manisha’s companion Vandana adds that they now secure the gas subsidy, have a Voter ID card and have learnt about accessing satbara records and pension schemes from the e-sevaks. Manisha and Vandana are among the many tribal women in the village who have witnessed a change since the PUKAR Palghar project began. “Ye log humaare bacchon ko padhaate bhi hain,” Manisha adds, meaning the volunteers also teach village children. Volunteers teach children, conduct camps and discuss topics such as the Constitution, which are all spillover effects of PUKAR’s work here. The idea of digital literacy as an ‘empowering’ tool for women is a popular one as is evident from initiatives such as Digital Sakhi and Internet Saathi. Facebook recently announced an initiative, GOAL-Going Online As Leaders, to skill tribal girls from across India to become village-level digital young leaders for their communities. PUKAR's efforts have made this tool available not only to women but also to tribal and Other Backward Classes villagers. "The villagers know who to approach now for any query," a proud Vaishali added.